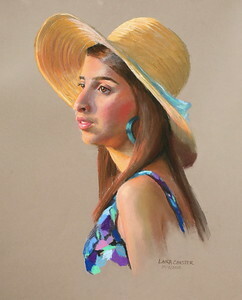 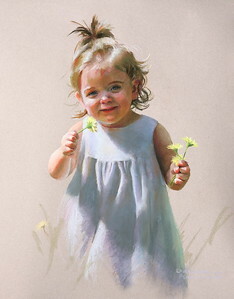 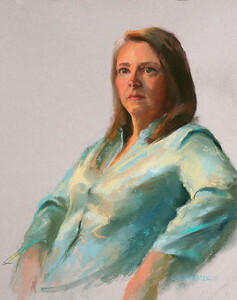 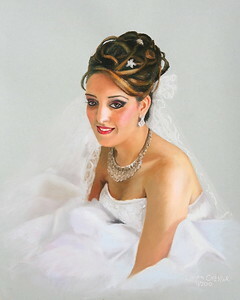 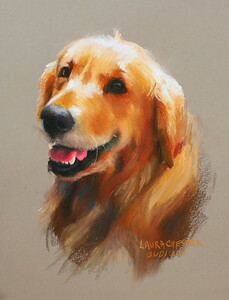 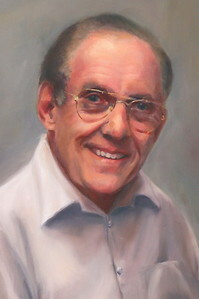 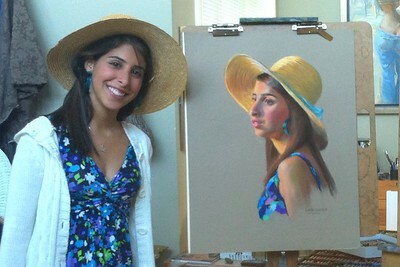 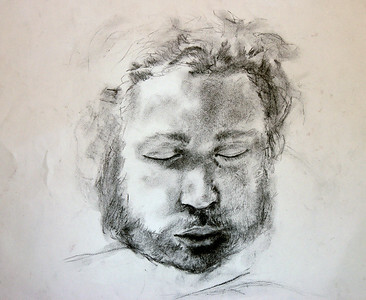 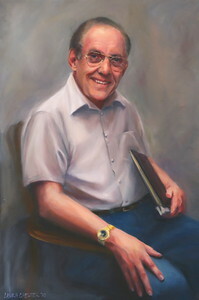 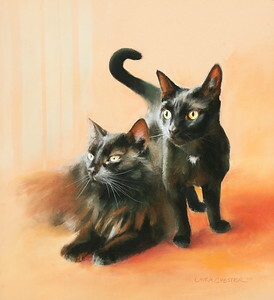 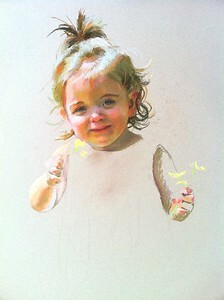 Laura's Art Click Here: Laura does fine art portraits in oils and pastels of adults, children and pets from events we photograph or from life. 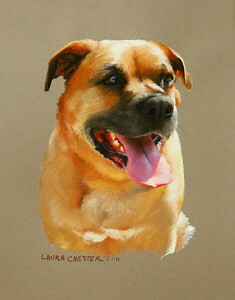 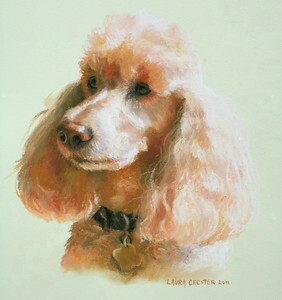 Her pet protraits have become popular as gifts. 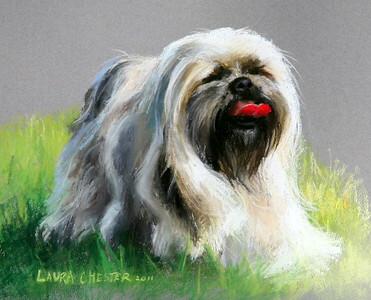 Welcome to Laura's Art Gallery. 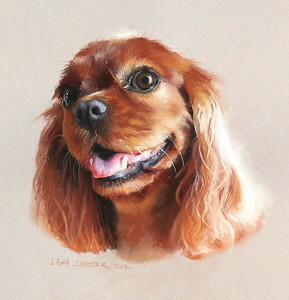 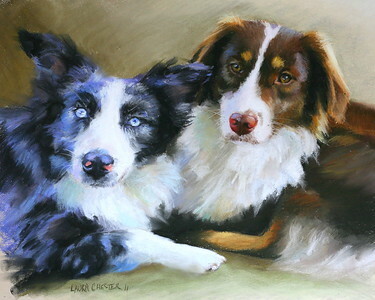 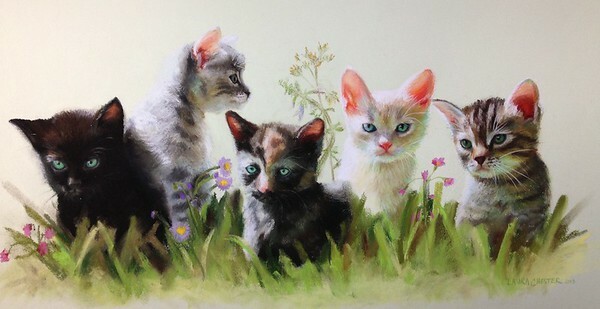 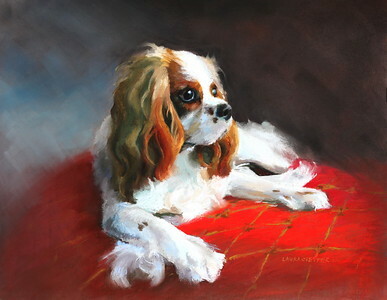 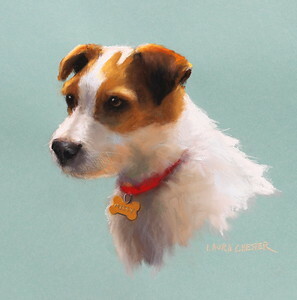 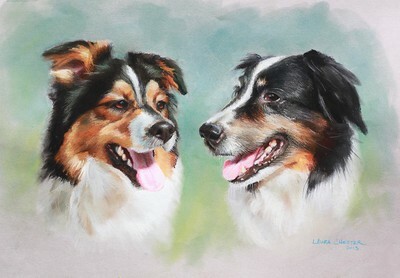 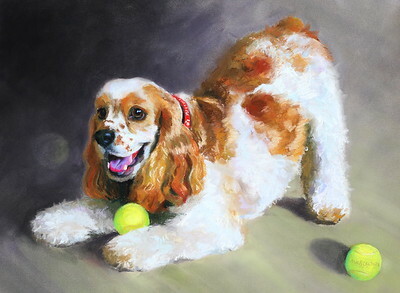 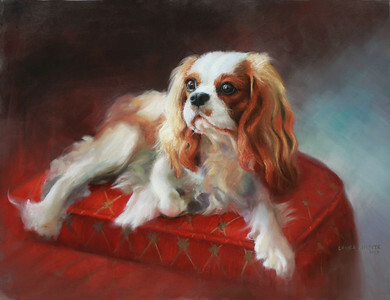 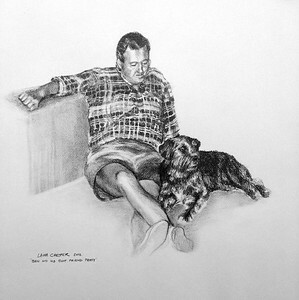 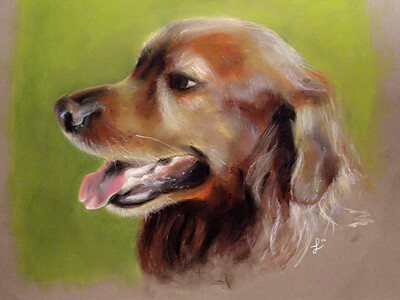 Her high quality pet protraits have become popular as gifts and she is doing a number of pets that have passed on from photos supplied by their owners. 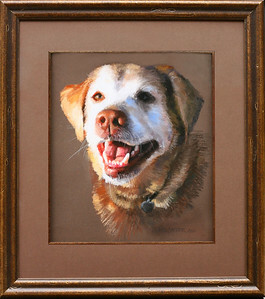 She has won awards for her framing design work and offers complete matted and framed works or you may purchase just the unframed art. 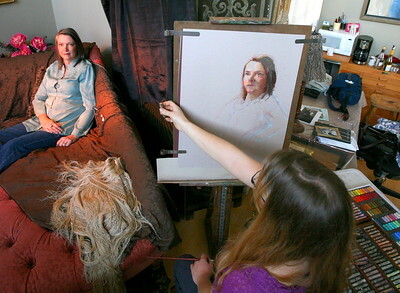 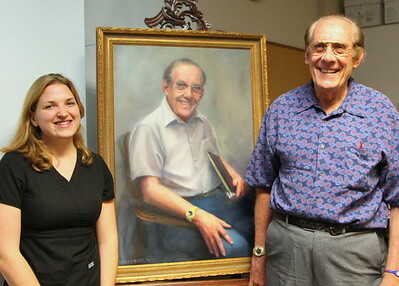 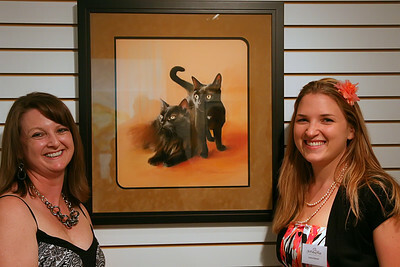 "Madison" Pastel on Canson 25.5"x 19.5"
Client Doris Kerns (left) standing with Laura Chester (right) and the finished portrait of "Willow and Zoe" hanging in the Cultural Center at Ponte Vedra Beach for a special 2 week exhibition featuring the works of Ann Manry Kenyon. 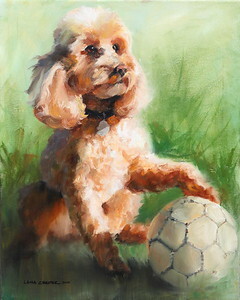 Oil on Canvas "Dr. Rumble" 24"x36"